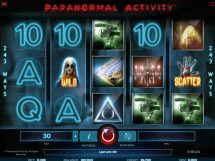 Paranormal Activity slot by iSoftBet is the only slot online I’ve ever seen which is truly scary – no cartoon nonsense this game is not for faint hearted! 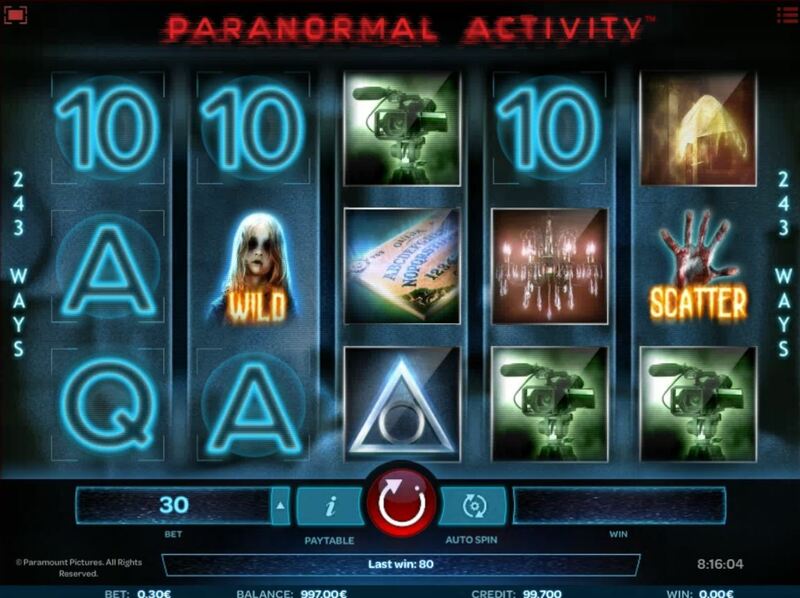 On any spin the possessed small girl may make you experience paranormal events and place up to 5 Wilds on the grid. 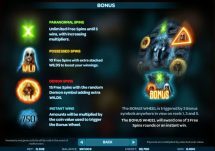 Bonus symbols on reels 1, 3 and 5 trigger a bonus wheel, similar to The Warriors slot where you can win various free spin types. 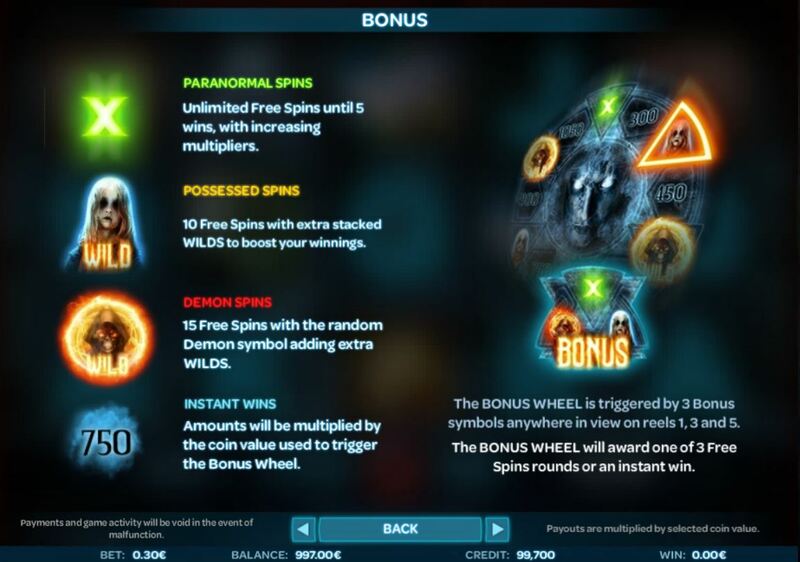 Paranormal spins have no limit and simply spin until you have 5 wins, each time the multiplier increases by 1. 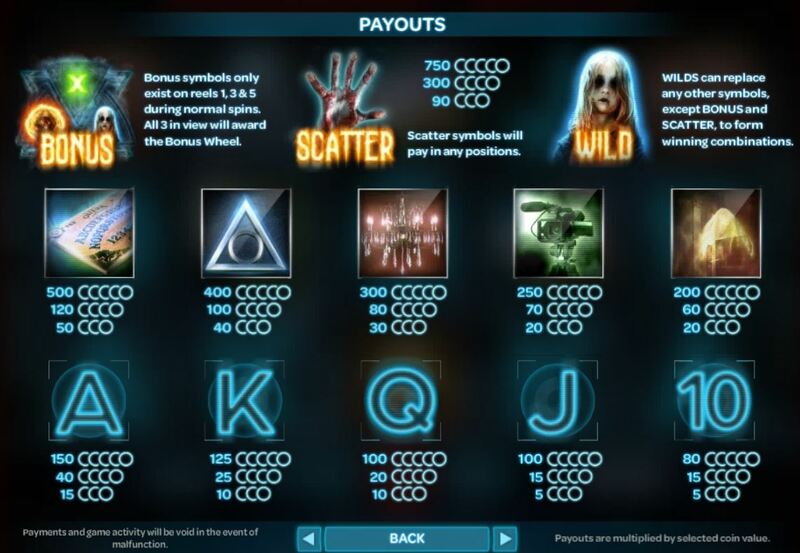 Possessed spins are 10 games with extra stacked wilds and lastly Demon spins awards 15 games with random extra Wilds. The RTP s 95.51%. The effects are not for the sensitive – be warned!